I have tried a number of lotion recipes, all without much success. In fact, the last time I tried it, I put it on and it smelled AWFUL. And to show you just how bad it smelled, one of my daughters came in the room and asked if someone had been sick! Whatever combination of oils I had used did not work well together at all. It seems like all of my recipes have been either too oily or needed to be refrigerated or smelled awful, etc. But, I found this idea and thought I would give it a try. I adjusted a few things and changed a few ingredients until I came up with this concoction. AND...drumroll please...I absolutely love it! And it's so easy! And it works! Really, I am so proud of myself! ;) I hope you love it as much as I do. Put the pellets in a microwaveable glass bowl or large measuring cup and place for a minute in the microwave. Take out and stir. Put in for another 30 seconds or a minute, until they are melted. Add the oil and the water. Next is the really cool part! Take a stick blender and blend until it turns into a creamy lotion. When it is a good consistency, mix in the essential oils. And there you are! 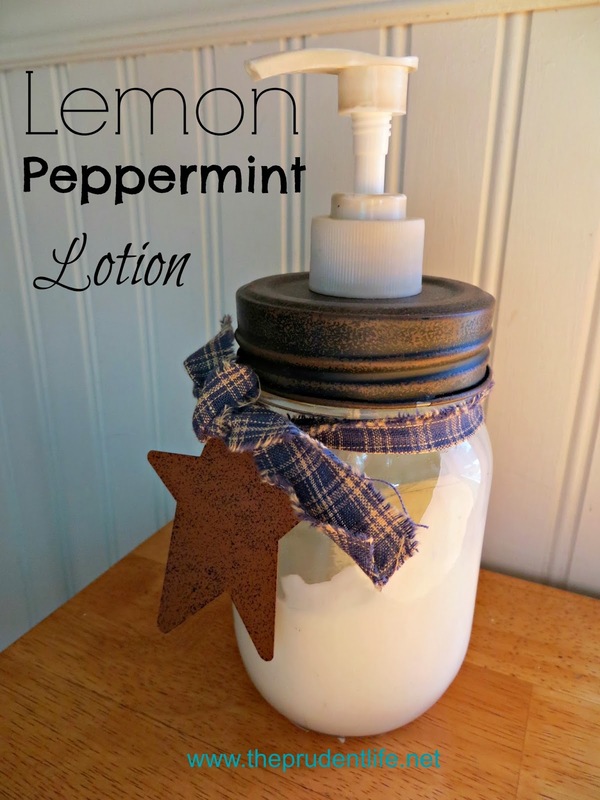 Your own homemade lotion in a matter of minutes. Little work, little cost, and so much satisfaction! What's a stick blender? Is this a stupid question? LOL. Maybe I need to add that to my list of supplies I need for the home, which also include a food processor! But a woman who fears the Lord, she shall be praised." Outward beauty is a wonderful thing. But how much more wonderful is inward beauty, evidenced by a heart that fears the Lord and a life lived wisely. We live in such a crazy, worldly culture that the choices we make every day can be very overwhelming and exhausting. How do we choose wisely so that it leads not only to a more fulfilled, satisfied life but, more importantly, to a life that honors God? May we live wisely in this crazy world! Find out more about me here.